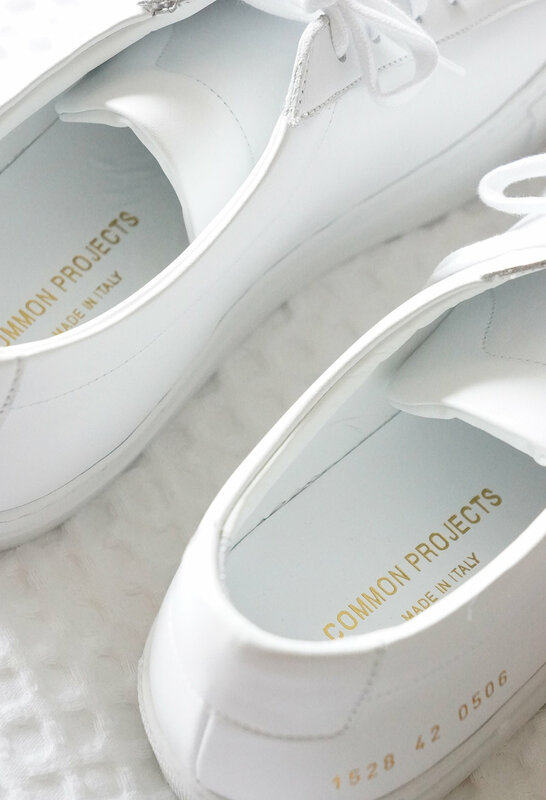 Common Projects are one of those brands where everything they create you'd happily hand over your credit card for. But alas, unless you're a superstar male blogger who gets sent free goodies or your richie rich, that's not the wisest idea. I've had my eye on these achilles originals for at least two years now and have finally purchased them. I must tell you it was a beautiful moment hitting go on that order button, but not as gorgeous as the moment it was personally delivered by my good British mate who was over from the UK for his NZ wedding. I had done my due diligence and shipped them to him in London so he could lug them to the other side of the world so I'd dodge any import duties and taxes. I'd been hit with this before, so this old dog learned a new trick. Do whatever you can to avoid your goodies being over $220 NZD so your not subject to import duties and gst. It can really blow your budget otherwise. This original achilles style has become an instant classic and pays homage to minimalist design and really that's at the heart of everything Common Projects do. Add a little touch of luxury with their distinctive and recognisable gold-tone serial number across the heel and you've got yourself the perfect shoe. I read up on loads of reviews before forking out the decent sum of money, and was pleased to see the punters raved. Not only are they their go-to sneakers, but they last, they go the distance - you just need to give them a little care here and there. I was sold. But maybe I was already sold it was just that I needed some additional justification to spend the moolah. I'm self-employed now, so I really should be learning to be wiser with my money. They failed to teach me that at school. If it's a bit of a steep ask for your first foray into white sneakers, then have no fear! 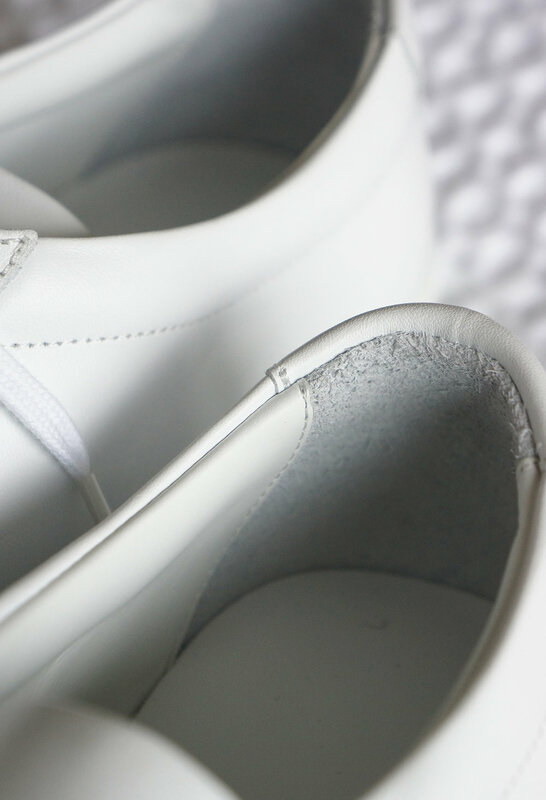 Have a gander at the full leather sneaker hitlist I put together, there's something for every budget and a good variety of classic takes on the white leather sneaker. Just don't forget to buy the protectant, your shoes deserve it. They run large to size, so I recommend taking a size smaller. I did and they fit snug. I can hear you typing in your credit card numbers already.